Karl Lagerfeld's death on Tuesday prompted an outpouring of grief from the fashion world. The German designer, who was the creative director for Chanel and Fendi, was one of the industry's most revered figures. Tributes were paid by the likes of Donatella Versace and the fashion house Dior. But others, including actress Jameela Jamil, said his often polarising comments cast a shadow over his legacy. Image caption Jamil dubbed Lagerfeld "a ruthless, fat-phobic misogynist"
Jamil, who stars in comedy The Good Place, shared a link to an article criticising Lagerfeld, and said he should not be painted as a saint. But the model and actress Cara Delevingne, who regularly worked with Lagerfeld, defended Lagerfeld, telling Jamil in now-deleted tweets, to "just go home" and "stop bashing people for attention". Lagerfeld steered Chanel for more than 30 years. He combined artistic flair with business acumen, which would see the Parisian label's sales reach $10bn (£7.7bn) in 2017. But throughout his career, he also made headlines for a range of provocative, and sometimes offensive, statements. They included comments about weight. Lagerfeld was open about his dislike for women who were above the traditional catwalk model size, a UK size 4 or 6, once calling the singer Adele "a little too fat". Lagerfeld later said his remarks had been taken out of context, and were actually in relation to US singer Lana Del Rey. He once said of Heidi Klum that she was "simply too heavy and has too big a bust". Speaking about plus-sized models on the catwalk, he said: "No one wants to see curvy women". And asked about women who object to thin models, he declared: "They are fat mummies sitting with their bags of crisps in front of the television, saying that thin models are ugly." Lagerfeld was known for mingling with the young, thin and trendy, and his death prompted warm tributes from many of his muses, including pop star Rihanna. Lagerfeld's relationships with models and his reputation as a designer were usually strong enough to be unscathed by comments that did not fit well in the modern fashion industry. At one point, he was dismissive of models who spoke up about sexual harassment when #MeToo, the campaign against abuse, swept through Hollywood. In an interview with the French magazine Numero, he said he was "fed up" with the movement. He went on to defend stylist Karl Templer, who was accused of pulling down models' underwear without consent, saying: "If you don't want your pants pulled about, don't become a model! Join a nunnery, there'll always be a place for you in the convent." Lagerfeld's words provoked comment the actress and activist Rose McGowan to call for a boycott of Chanel. Harriet Hall, lifestyle editor and feminist columnist at The Independent, believes that Lagerfeld's work and legacy as a designer should be respected, without whitewashing over some of his more contentious comments. "Karl Lagerfeld sensed the socio-political mood and translated this into high fashion that celebrated women in a continuation of Coco Chanel's own work," Hall says. "But that's not to say we should forget his contrarian comments upon his passing and paint him as a perfect genius." She continues: "We should recognise his fashion legacy and progress past his more unsavoury traits. "The fashion industry is experiencing a moment of change that is finally seeing diversity celebrated and ethical production prioritised: this is where we should direct our focus." 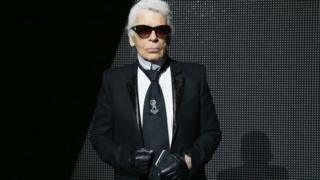 Some industry insiders have suggested Lagerfeld's comments may not have reflected his real thoughts. Suzy Menkes, editor of Vogue International, says dividing opinion was part of Lagerfeld's brand. "He was a very witty man and he would make outrageous comments about all sorts of things, and then often try to cover it up and explain that, no, he didn't mean that at all," she says. Lagerfeld's attempts to backtrack on some of his controversial comments did not always meet with success. A bitter row broke out between the designer and actress Meryl Streep in 2017, when Lagerfeld claimed Streep had rejected one of his dresses. He later issued a statement of regret for the comments, but Streep's anger remained undimmed. Chanel was also forced to apologise to the Muslim community when Lagerfeld designed several dresses printed with verses from the Koran in 1994. Yet, Lagerfeld did not apologise when he evoked the holocaust in a verbal attack on the German chancellor Angela Merkel for taking in migrants from countries with a majority Muslim population. The comments, made in an interview on French TV in 2017, prompted hundreds of complaints. Christian Christensen, professor of journalism at Stockholm University, said Lagerfeld's controversial views should not be ignored or downplayed. "Obituaries and biographies of extremely influential people where their expressions of bigotry or discrimination are glossed over - or ignored - only serve to reinforce the notion that such bigotry or discrimination is somehow less important than, say, designing a shirt," he wrote on social media. Natasha Bird, digital editor for Elle, addressed Lagerfeld's penchant for controversy in an interview with BBC Breakfast. "I'm not going to dispute that some of the things he said were very controversial," Bird said. "He was a man who was a master of invention and he was able to evolve as time went on." Certainly, Chanel under Lagerfeld did evolve. He once called the debate over the use of animal fur in fashion "childish". Yet, Chanel became the first luxury fashion house in the world to stop using exotic animal skins, like snake, crocodile, lizard and stingray and fur. But Lagerfeld was also responsible for showcasing some racially offensive stereotypes in his work, such as when he had model Claudia Schiffer appear in blackface and adopt an Asian appearance in an editorial shoot in 2010. In 2007, Lagerfeld indicated that his controversial persona was an act. "I am like a caricature of myself, and I like that," he said. "It is like a mask. And for me the Carnival of Venice lasts all year long."